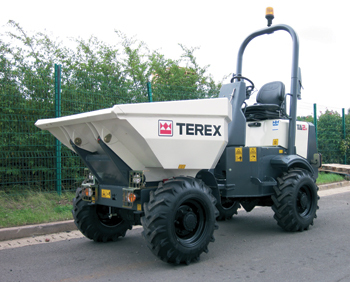 A Terex site dumper ... robust and efficient. Global construction solutions provider Terex has secured a major deal to supply site dumpers for the Riyadh Metro project. The agreement, which was coordinated through its distributor in Jeddah, Middle East Development Company (Medco), will see 20 Terex site dumpers manufactured and supplied before the end of 2015, the company said. The specialist two-tonne power tip units will be produced at the Terex facility in Coventry, UK. Part of the Riyadh Public Transport Project (RPTP), the Riyadh Metro project will create more than 15,000 jobs nationwide. Robust and efficient, Terex site dumpers are built to handle the most challenging conditions and demanding use, making them an ideal tool for construction professionals. Each unit is manufactured from heavy gauge steel to provide high impact resistance and exceptional equipment longevity. Easy access points for daily maintenance checks, heavy-duty front and rear chassis, 4WD as standard and the latest in hydrostatic transmission make Terex site dumpers a preferred choice for the industry, he said.